Turkey has condemned recent moves by Cyprus to search for hydrocarbon reserves off the island and to hold talks with international energy companies on exploration and call on Nicosia to stop acting like the sole owners of the island’s natural resources. 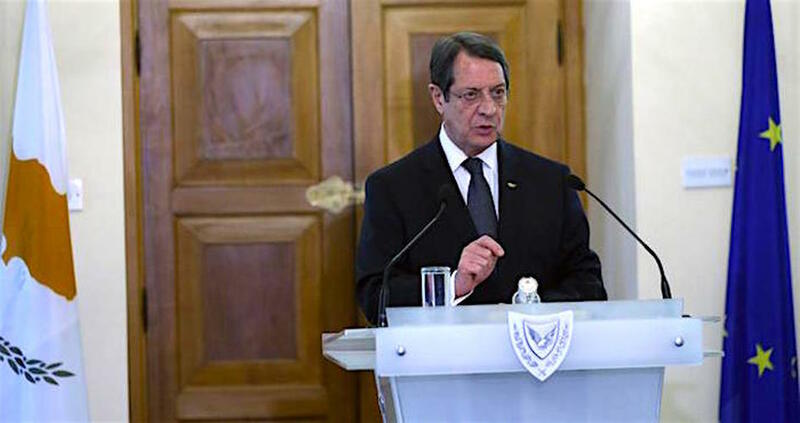 According to a Hurriyet Daily News report, the Turkish foreign ministry issued an official statement on Thursday warning Cypriot President Nicos Anastasiades to stop negotiating with hydrocarbon companies and challenges Cyprus’ exclusive economic zone. “There have been reports in the press that during a visit to the U.S. on March 22, the Greek Cypriot leader, Mr. [Nicos] Anastasiades, met representatives of one of the hydrocarbon companies that took part in the Greek Cypriot Administration’s third international tender within its so-called exclusive economic zone. These contacts clearly demonstrate yet again how the Greek Cypriot Administration disregards, in its unilateral pursuit of hydrocarbon-related activities, the inalienable rights to natural resources of the Turkish Cypriot people, the co-owners of the island,” Huseyin Muftuoglu, a spokesperson for the Turkish foreign ministry, said in a written statement. Muftuoglu said that the Cypriot government approved the signing of exploration and exploitation contracts for three separate areas with several companies at a cabinet meeting on March 17. “This attitude shows that the Greek Cypriot Administration is still not able to grasp the win-win potential for economic cooperation that could ensue on the island and in the eastern Mediterranean from a comprehensive settlement, something for which the Turkish Cypriot side and Turkey have been expending intensive efforts,” Muftuoglu said. The Turkish foreign ministry spokesperson warns the Nicosia administration to refrain from acting as though it were the sole owner of the island’s natural resources and to cease its hydrocarbon-related activities. “It will be recalled in this context that in previous years, such activities led to the failure of efforts aiming at a comprehensive settlement. We also take this opportunity to note once again that Turkey will take all necessary measures to protect its interests in the eastern Mediterranean as well as the rights of the Turkish Republic of Northern Cyprus,” Muftuoglu said.